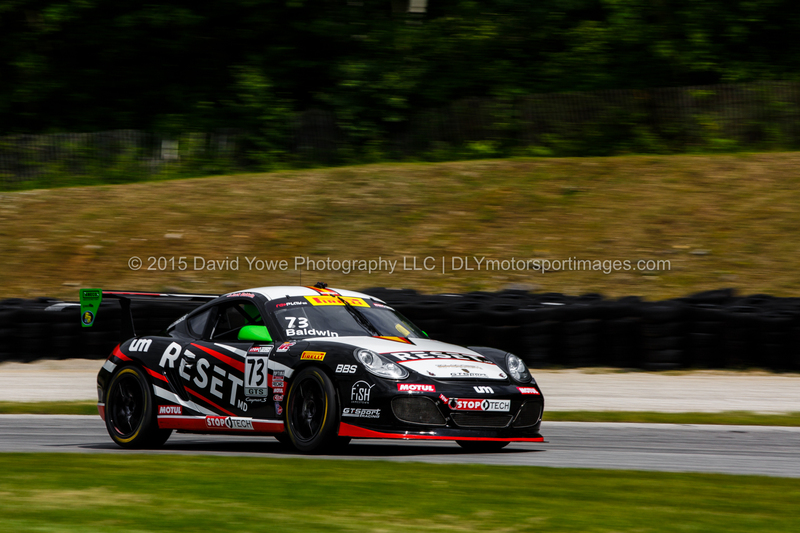 The Pirelli World Challenge (PWC) GTS class testing and practice were held on Thursday and Friday (June 25 and 26). After Practice 2, Mark Wilkins in the #38 Kinetic Motorsports/Kia Racing Kia Optima topped the charts with a fastest lap of 2:17.831 at 105.729 mph. Second fastest was Jack Baldwin in the #73 GTSport Racing Porsche Cayman S, then Ben Clucas in the #36 Kinetic Motorsports / Kia Racing Kia Optima. Hope you like the photos. 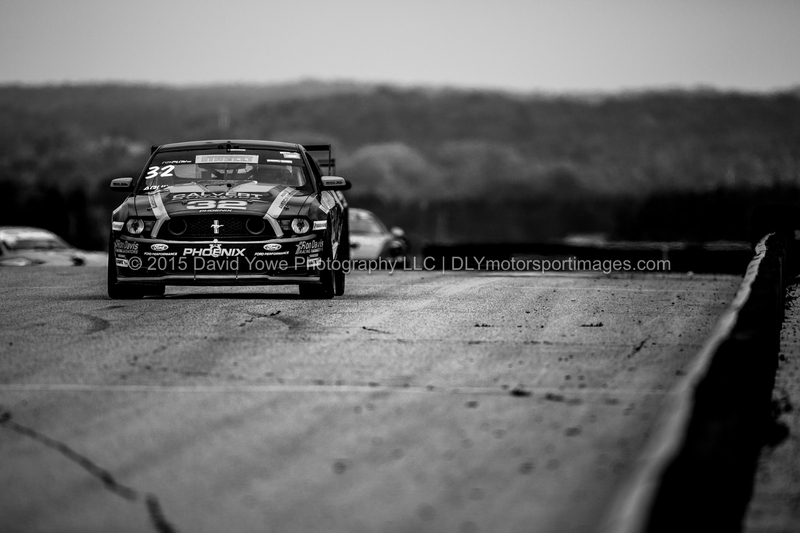 In pit lane with Andrew Aquilante in the #32 Phoenix American Motorsports Ford Mustang Boss302. 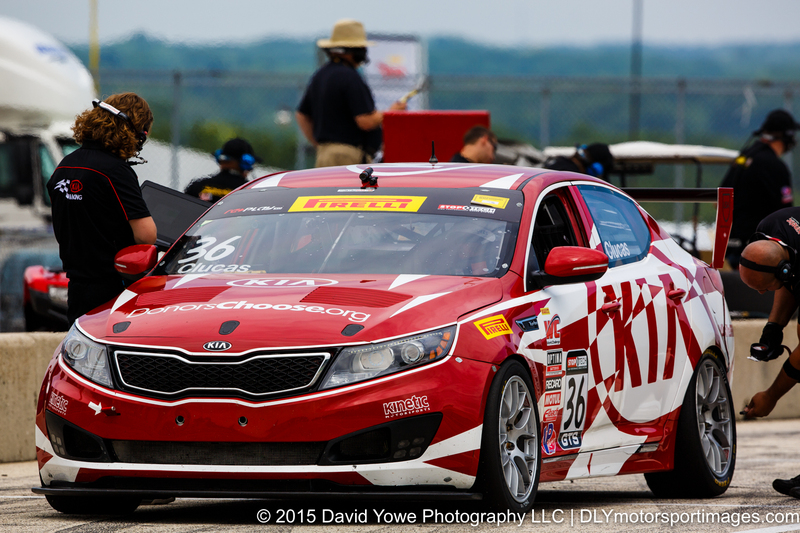 In the pits with Ben Clucas in the #36 Kinetic Motorsports / Kia Racing Kia Optima. 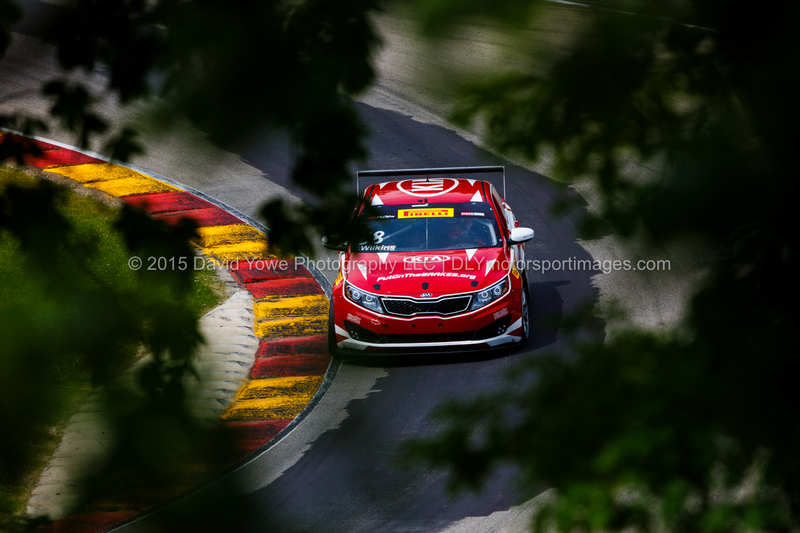 Through Canada Corner with Mark Wilkins in the #38 Kinetic Motorsports/Kia Racing Kia Optima. 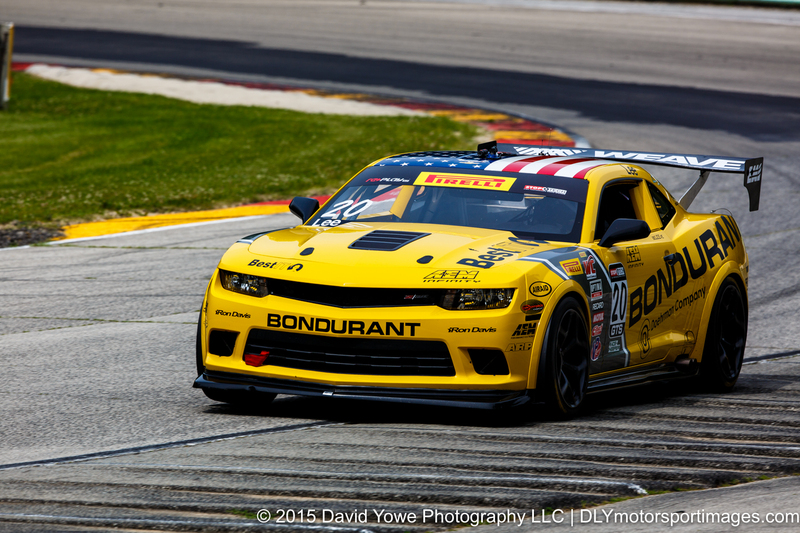 Exiting Canada Corner with Andy Lee in the #20 BestIT Racing Chevrolet Camaro. 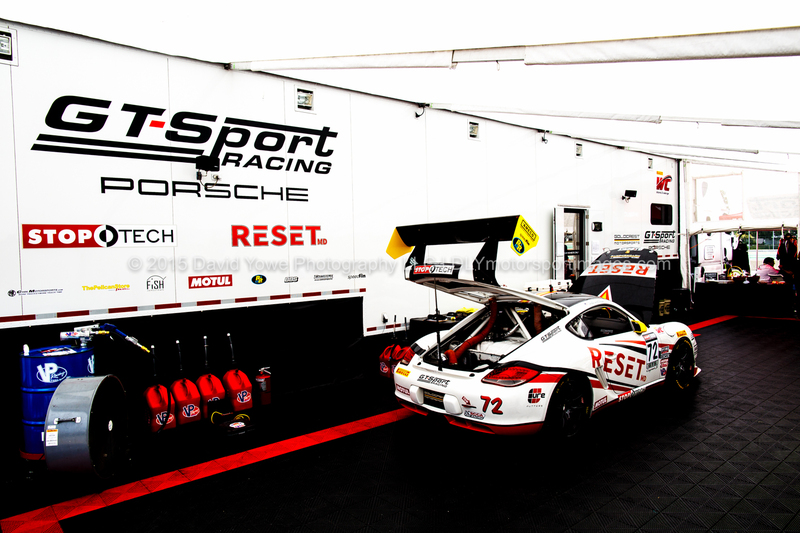 Around the Carousel with Jack Baldwin in the #73 GTSport Racing Porsche Cayman S.
In the paddock with the #72 GTSport Racing Cayman S.